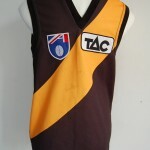 With less than a month to the AFL NAB Cup, fans are itching to drag on their football jumper , jersey , guernsey and get along to support their teams . The ball bounces for the first games on 17 February . GWS will play NRL convert , Israel Folau, in the inaugral Sydney derby against the Swans , Round 1 , ANZ Stadium , Sydney. Collingwood , with 3 new recruits on board , including a North Queenslander and an Irishman , climbed Cradle Mountain , in Tassies wilderness , under new coach Nathan Buckley's tough regime. The Saints , capping off a difficult 2011 , have recorded a large financial loss for last season . Richmond Tigers , have recruited a new , 2. 02 tall metre ruckman , and welcome Jack Riewoldt back , following four operations over the Summer . Mark Neeld , new Demons Coach , will announce their leadership group ahead of the NAB Cup . 29 days to kick off and counting , for ardent AFL Fans everywhere , who can't wait for that first bounce of the Sherrin , and the wearing of the old familiar football jumper . 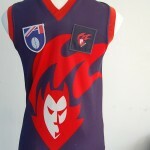 This entry was posted on Friday, January 20th, 2012 at 9:01 am	and is filed under AFL, football jumpers, NRL. You can follow any responses to this entry through the RSS 2.0 feed. Both comments and pings are currently closed.